Google just announced the Android P’s name, and it’s Pie. 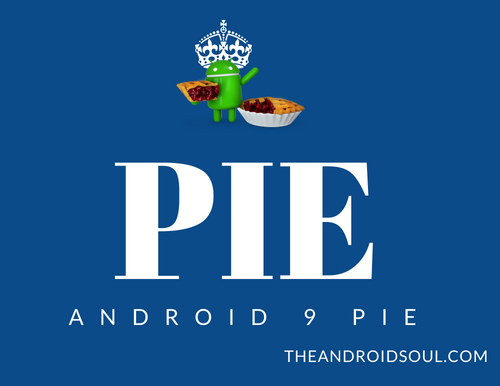 Yes, the Android 9.0 will be called Android Pie. In fact, it’s not 9.0, rather Google is preferring to call it simply Android 9. So, yes, we will talk a lot about Android 9 Pie for the next few days, weeks, months, and a year (unless some weirdo OEM pushes the Android Pie updates even after 365 days from today). But anyway, if you are new to all of this, check out the expected release date of Android 9 Pie here. Also check out our full-information giver post on Android Pie here. As regards what’s new with Android Pie, you can read it all in Google own words here, which is quite good already. If your interest is in the developer side of things, hit up this page which tells you the coding elements inside the Android 9 Pie that you should be considering using in your apps. Android Pie feature What it does? App Actions THIS IS BIG! This feature recommends actions using AI. It would try to figure out what you are gonna do next, and thus what you may need next, and get you that when you fire up the app drawer. It may suggest you stuff based on your location, time of the day, and even when you do something like connecting a headphone. App slices Slices gets you a slice of the app which is a feature that the Android system thinks is what you need when you are looking for that app. It is cool! Gestures Yes, gestures — finally — for navigations. It’s dead smooth on Pixel, and we are totally loving it. Makes switching to previous apps a breeze with the addition of a slider at the bottom after swiping for the overview window. Digital Wellbeing This is all about making you not use the phone all the time. And we needed it. Desperately. — Dashboard Gets you a quick idea of apps you use on your phone, how many notifications you get, and how often you keep checking your phone. — App timers Lets you set a usage limit for apps. So that the system will warn you already when you are about to reach the pre-defined usage limit to prevent you from overusing the app and phone. — Wind down Set a schedule to enable the DND mode and also turn screen gray during the defined period. — Do Not Disturb It now turns the screen to grayscale while also obviously disabling the notifications, except calls from starred contacts. Display Cutout You may already know this but yes, the Android 9 Pie officially supports the notch. Smart replies This is probably already available, but Google has made it official with Android 9 Pie. Messenger apps will get the cool ‘smart reply’ feature from Google. Should help you a lot. Better notification management Can turn off notifications for a range of apps, and the system may even ask you to stop receiving the certain kind of notifications once you dismiss them. Age of AI, hell yeah. Adaptive battery Optimizes background process of apps based on your usage to prevent battery drain. The system will also warn you of excessive battery usage by apps in the Settings when it detects it. So, what do you think about the name Pie? And what are you general first impressions about the Android 9 Pie?